So … yet again I have been knocked down by one of my zillion diseases (or at least that is how it seems to me – lately at least). I have been feeling low these last few days … crappy stomach with constant trips to the restroom … and finally it got to a point where I called my PCP who informed me to go straight to the ER and get some tests run. We did blood work, stool samples (plural), etc. and it was determined that I had to be admitted to get some steroids. 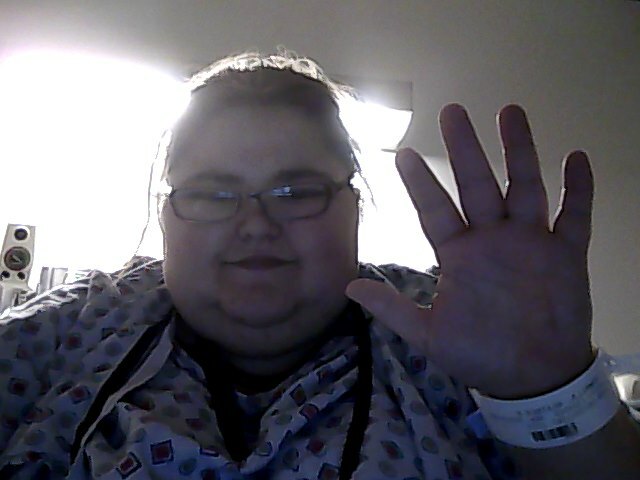 I am having a colitis flare – due to coming off of steroids (possibly too fast) which made my stomach go haywire so I am now spending the night and god knows how long in the hospital. 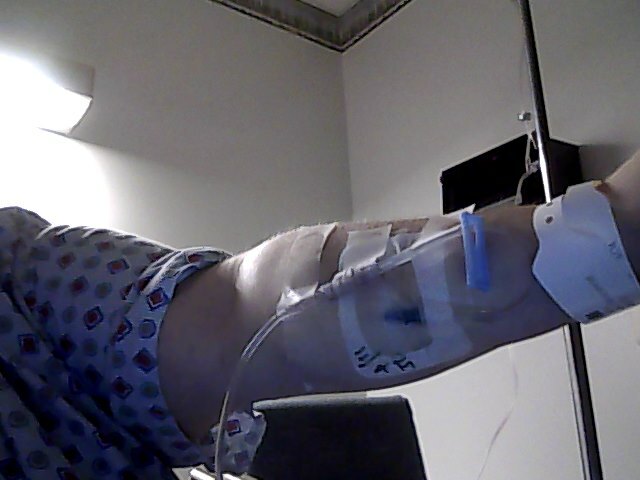 They gave me a round of steroids a bit ago with some benadryll (didn’t I just have IV steroids like yesterday? It seems like it anyway). So they prepped me before they dosed me with steroids due to the allergy …. and gave me my regular meds. Then they gave me some naproxen for pain – didn’t work. So they switched me out to Percocet for now. That and a liquid diet … YUM. I couldn’t even eat my stomach is so crappy … I managed a little bit of jello and pudding …. and tonight I had two small containers of sherbert … hopefully I start to feel better. Oh and the great part .. they are all worried because of my back pain that they were playing with my legs …. and I haven’t shaved in a few days … it’s winter! I figured I was not going to be going anywhere so I didn’t bother shaving them …. yeah, I should have shaved. What I do know is that this hospital (my local small hospital) is amazing. The nurses knew me by name. They are kind and sweet. the only downside is that I am so short I have to like JUMP onto the potty. Oh and I have a private room – and internet access – and my mom brought me gingerale so my tummy will be happy or at least happier. Check out my pretty IV … and of course me in my double gown. It only took two sticks to get a line in … I was dehydrated so my veins were nil. That and my port is pretty much useless…. I wish they would just take it out already. nasty thing. I hope I don’t blow this one …. Steroids always make it hard to sleep …. so I am up later than I have been in weeks …. they asked if I have been tired … and I have …. like seriously, I have been sleeping over twelve hours each night and a nap each day … I guess that should have said that something was brewing …. Then we got bad news about my cousins boyfriend and I feel so bad for her. I wont post names or anything … per her request – but I want her to know that I love her and I am thinking of her. We are here for you my dear. This is for u:) Read till the end! 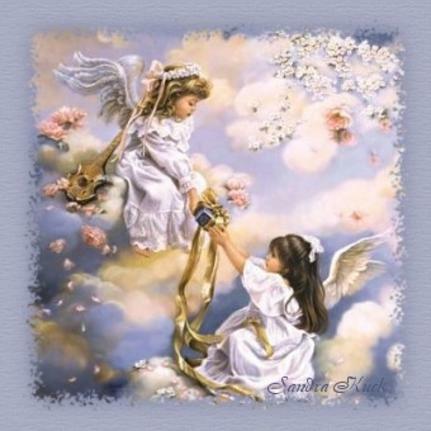 I sent an angel to watch over you last night, but it came back and asked “why?” The angel said, “angels don’t watch over angels!” twenty angels are in your world. Ten are sleeping, nine of them are playing and one is reading this message. God has seen you struggling with some things and God says it over. a blessing is coming your way. If you believe in God send this message to 14 friends including me, if I don’t get it back I guess I’m not one of them. As soon as you get 5 replies, someone you love will quietly surprise you… Not joking. Pass this message on. Please don’t ignore it. you are being tested and God is going to fix two big things tonight in your favor. If you believe in God drop everything and pass it on TOMORROW WILL BE THE BEST DAY OF YOUR LIFE. DON’T BREAK THIS. SEND THIS TO 14 FRIENDS IN 10 MINUTES IT’S NOT THAT HARD. WHOEVER SENT THIS TO YOU MUST CARE ABOUT YOU. REMEMBER … THINGS COULD ALWAYS BE WORSE!